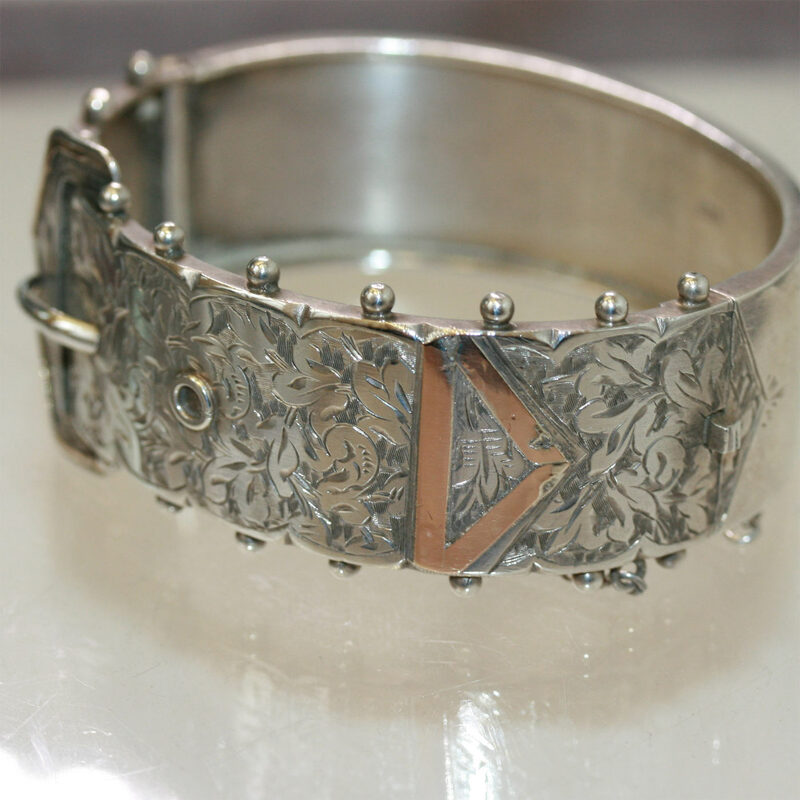 Antique Victorian sterling silver bangle. Product code: 581 Categories: Sold Items, Sold Jewellery. Here is a perfect example of the quality of antique jewellery. 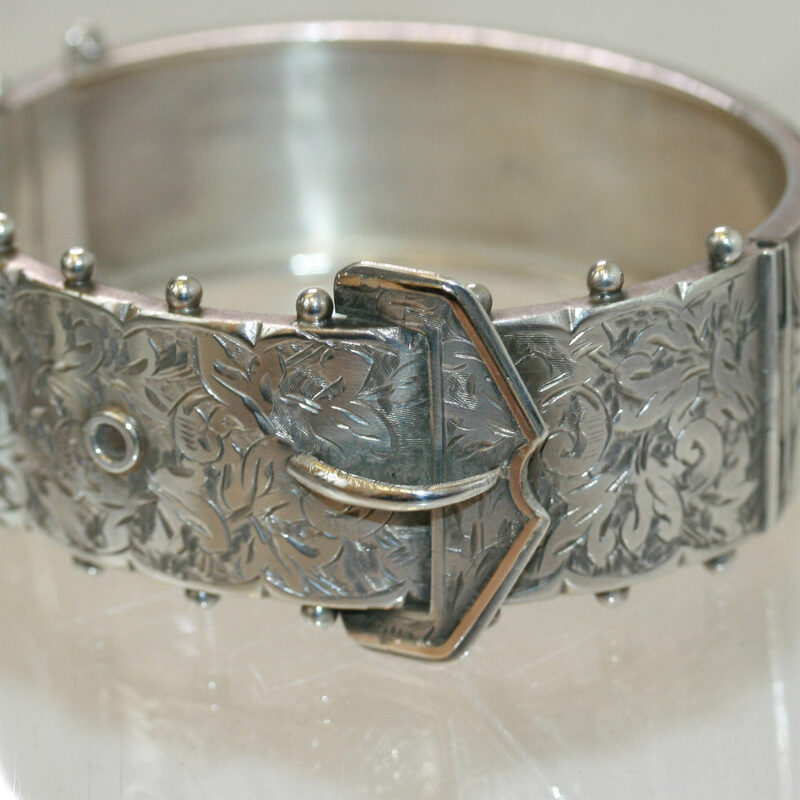 Made in Birmingham in 1876, this Victorian era hinged bangle is made in sterling silver and is in brilliant condition. With wonderful rose gold highlights on the buckle design, and superb engraving, it is a piece of jewellery that is classic in design. Measuring 1.9cm wide (or 2.4cm when including the silver balls on the side) and being hinged, it site perfectly on the wrist.